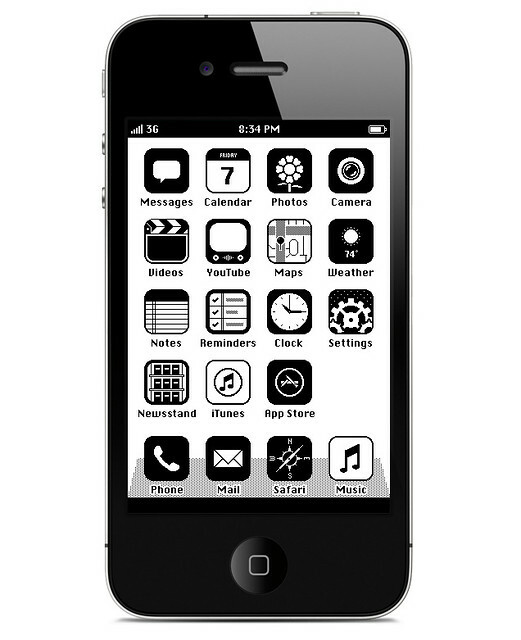 iPhone Savior: I Want This Retro iOS Look For My iPhone! I Want This Retro iOS Look For My iPhone! Anton Repponen has imagined a Mac Plus inspired look for his iPhone with iOS '86. This retro classic design concept laid atop the ultra modern iPhone is definitely a must-have for me! What do you think? — Are you ready for iOS 86? Can u do it on the iPad?